Not the kind of literature we find in our local Barnes and Noble. Cuba is the most fascinating country I’ve ever visited. It is like nowhere else I’ve been. 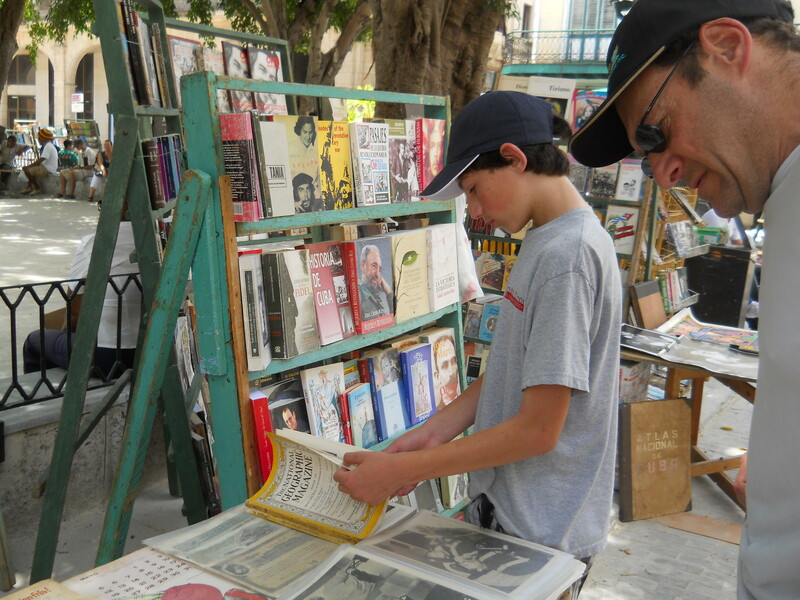 It is like traveling to another period in history, at least before the internet and Post Cold War period. We flew into Havana after a quick 3 hour flight from Toronto. Immediately one is hit by the heat and humidity, even at 10pm. 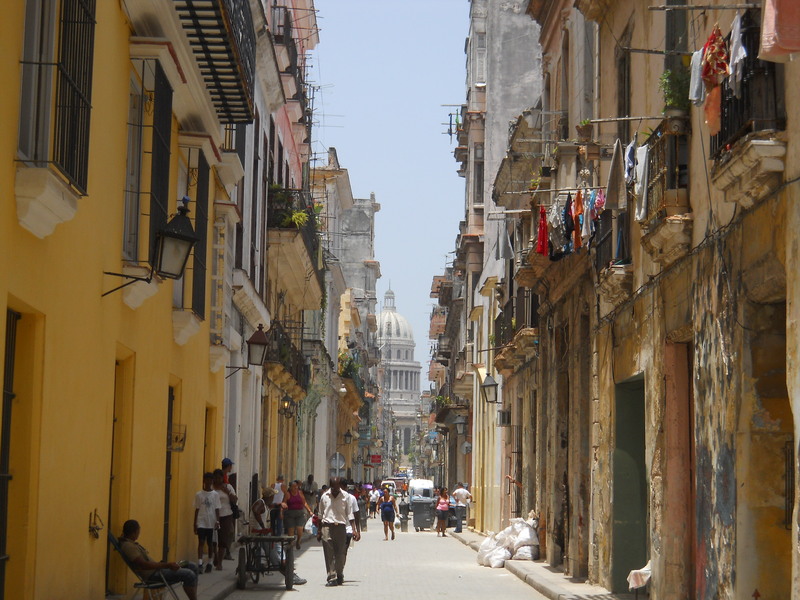 Havana is a crazy, busy, loud, vibrant city. It is also falling to pieces. In fact the poverty of the country is startling. There are no conventional shops or supermarkets. Rather miserable little stores which seem half empty. The city has trash lying everywhere, 1950 era cars belch out black fumes and all is in disarray. Restaurants are generally poor and that is when they actually have something on offer (there is a large discrepancy between the menu and what is actually available). Yet for all that, we enjoyed the city thoroughly. Firstly it feels incredibly safe, very unusual for a large city. It has a vibrant atmosphere, and some beautiful architecture, although most is not in the best state of repair. 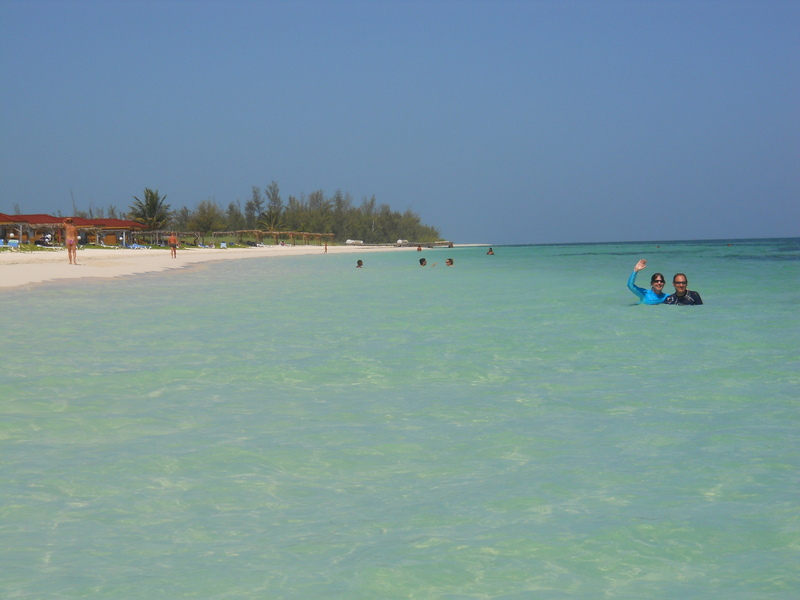 Its beaches are gorgeous and quite something to behold, being used by locals rather than tourists. And like everywhere we were in Cuba, the people seem genuinely excited to meet visitors and are very friendly. 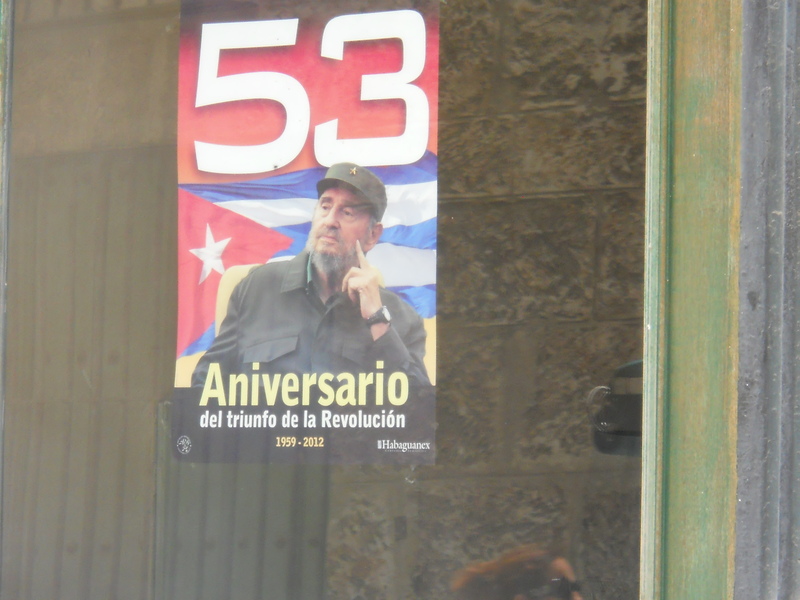 One incredibly interesting place to visit in Havana is the Museum of the Revolution. 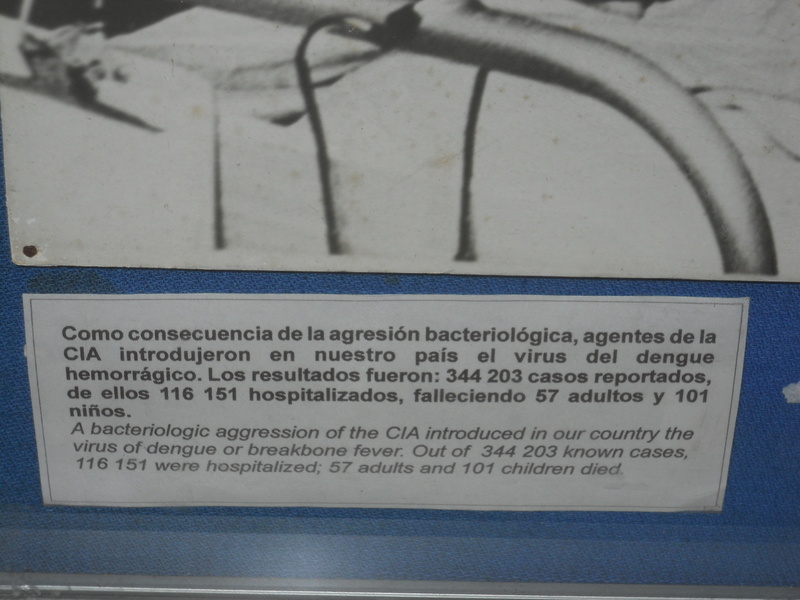 This represents Cuba’s modern history and there is a lot of anti USA propaganda/information. There is no better example of history being dependant on who writes it. Just fascinating. We stayed in no hotels on our trip. Instead, we only stayed in casas particulares. This is a curious Cuban institution whereby, in order to allow citizens to supplement their meager incomes, they can rent out rooms to tourists. All rooms must have bathroom with hot water and a fridge (essential)are are regulated. A bit like a B&B. This is a great way to meet and interact with locals and a much richer experience if you are able to forgo the luxuries of a top hotel. 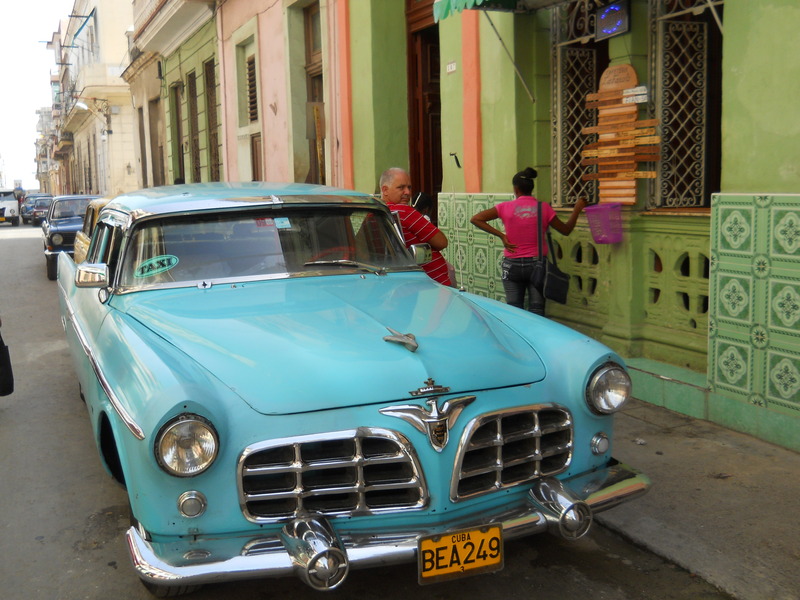 In Havana, we stayed at Casa 1932, and our host, Luis Miguel, is the best introduction to the country. He is so welcoming and knowledgeable that I cannot imagine a better way to start a trip. Eating is also quite an experience. Like the casas particulares, the government sanctions restaurants in one’s home. These paladares are all over so don’t be surprised to be solicited by someone to come eat at their place, then be led through some alley, up a flight of stairs, through the house to a terrace where a restaurant of sorts has been cobbled together. Very innovative. 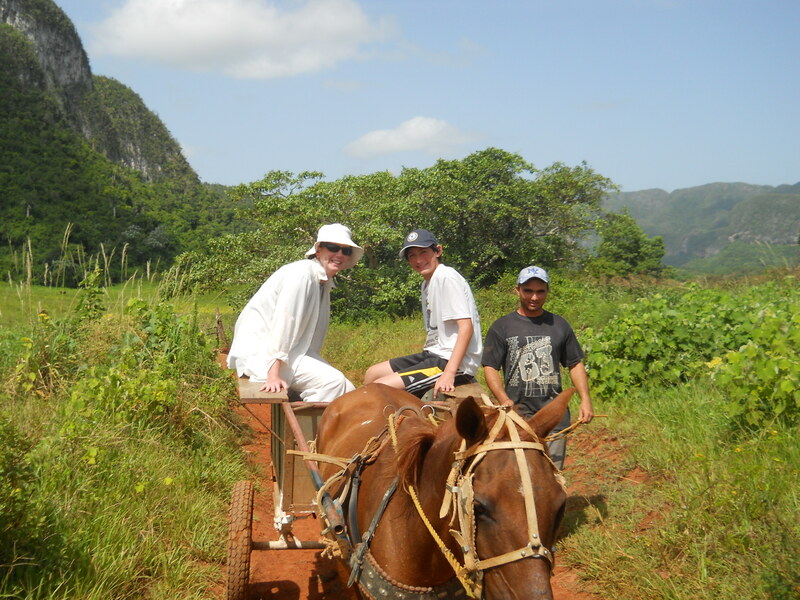 From Havana we travelled to the hill country of Vinales in the west. Vinales is a lovely, sleepy little town surrounded by beautiful small mountain like structures called mogotes and is the area famous in the country for coffee and tobacco cultivation. 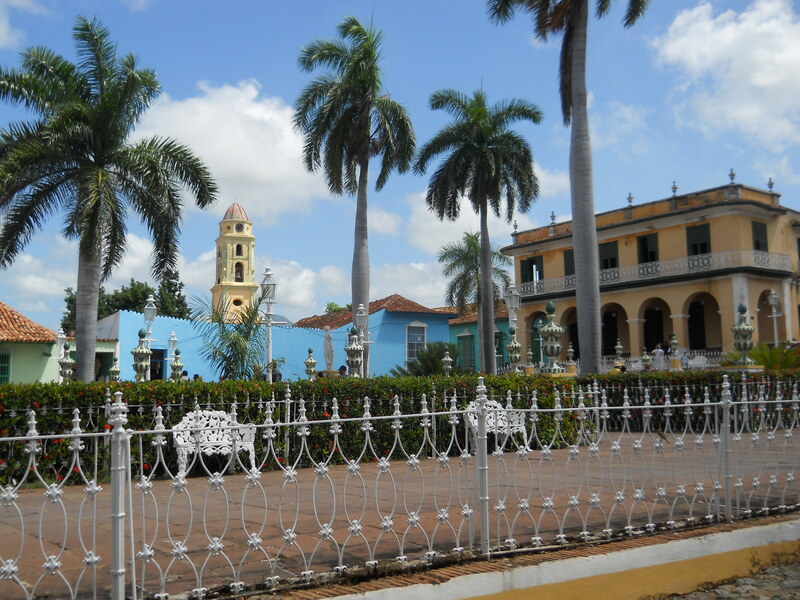 After that it was off to Trinidad, Cuba’s colonial gem. Trinidad is a gorgeous town, and although a little touristy, in Cuba one is always close to real life. On our last night in Trinidad, we were caught in a mighty thunderstorm and had to take refuge in a large restaurant, soon packed by tourists and residents alike, all seeking shelter. After a while the power went out, but not only did the musicians keep playing, they even tried to sell their CD by flashlight. Quite a night. Cuba is not for everyone. If you like your luxuries, designer stores, great food – don’t go! If you want to see a culture and society so different from almost anywhere else, and experience beautiful beaches, amazing vibrant society and the friendliest people anywhere, try it! The local, excellent ice cream chain Coppelia has many flavors on offer but they are not available to tourists. Tourists seem to have a designated flavor available on any given day If you don’t want that flavor, bad luck. 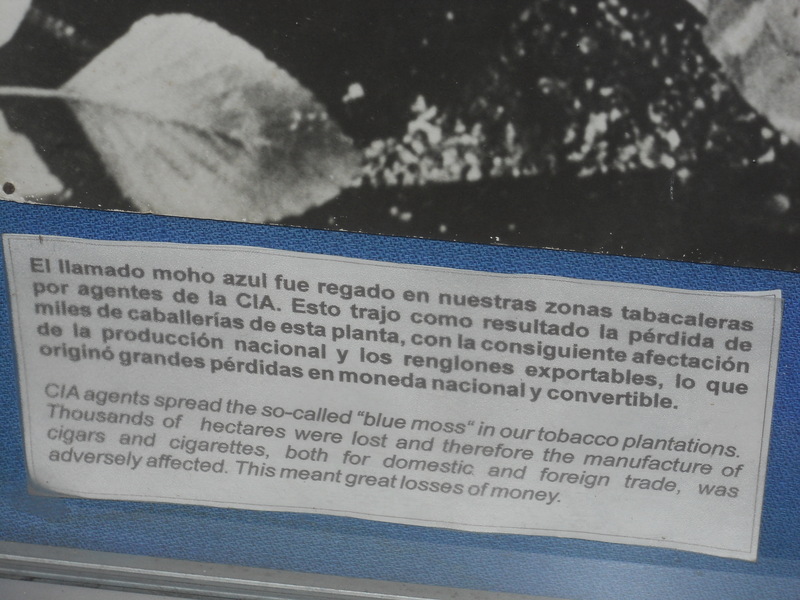 Cuba uses 2 forms of its currency. Again one is for locals, the other for foreigners. It was apparent to us that the only way to get by in this terribly poor country was to somehow get one’s hands on the tourist form of the currency. Restaurants – there is absolutely no point reading a menu without first enquiring what is actually available. Just because an item is on a menu is meaningless- there is as good a chance as not that it will actually be available. 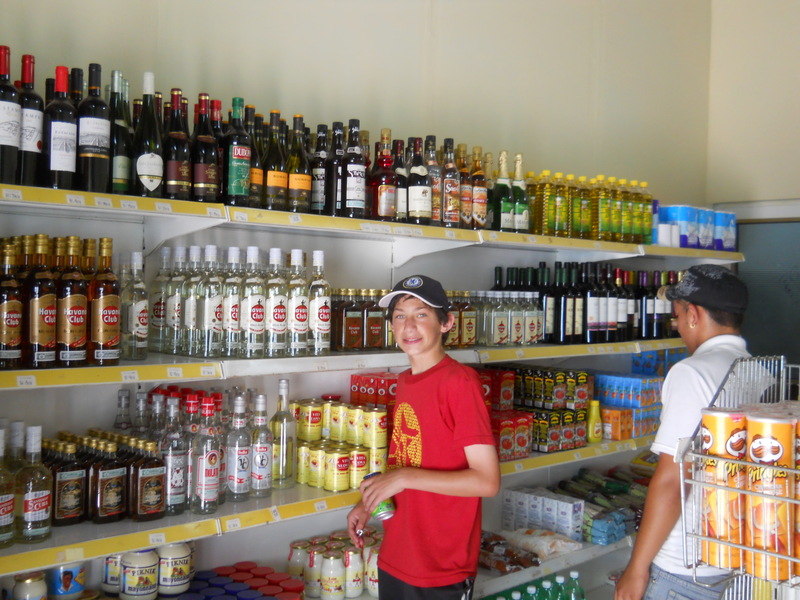 Alcohol – it seems easier and almost as cheap to buy alcohol as water. Alcohol is everywhere. In fact it is even sold in juice box like containers. 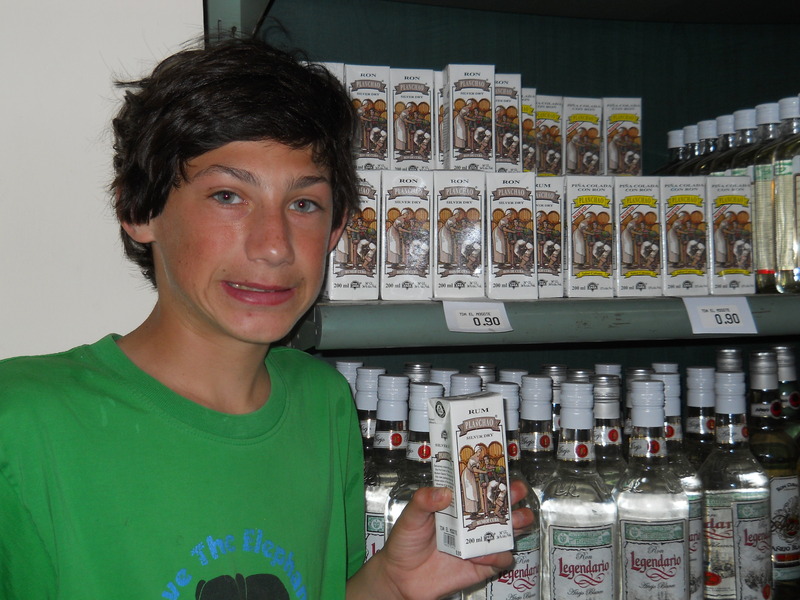 It is very common to see people walking around openly drinking. And most alcohol seems to be drunk straight out of the bottle. Forget the niceties of using a glass. 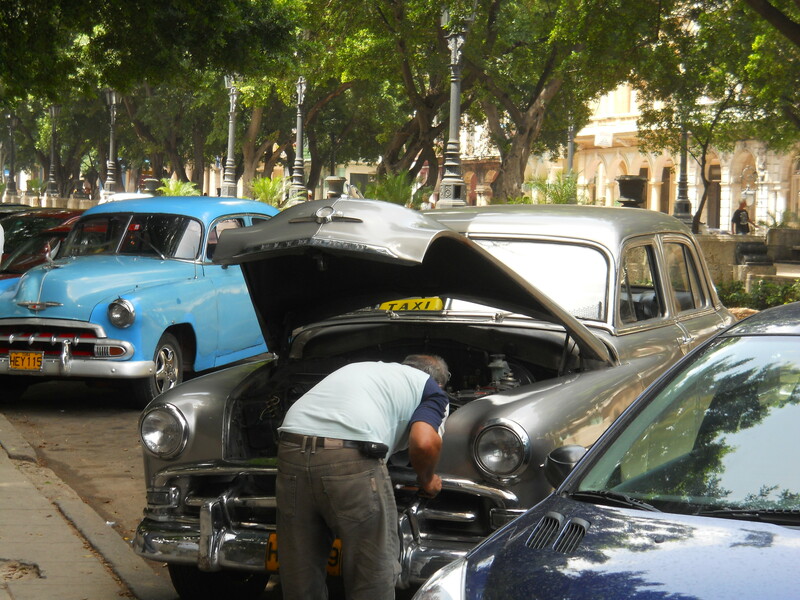 Cars – Cuba has an incredible array of USA made, pre boycott cars. They are painstakingly kept alive through the owners’ ingenuity. One of the most common sights on the streets is seeing someone deep in his car’s bonnet trying to make some adjustments. In fact most taxi drivers have a traveling companion – we thought to help when inevitably the car breaks down. Shops and supermarkets – well firstly there aren’t any, not in the conventional sense. There are tiny little shops which either look empty, half ruined, or selling a ridiculously small sampling of goods. It’s not an economy that looks like it is thriving (except for alcohol). 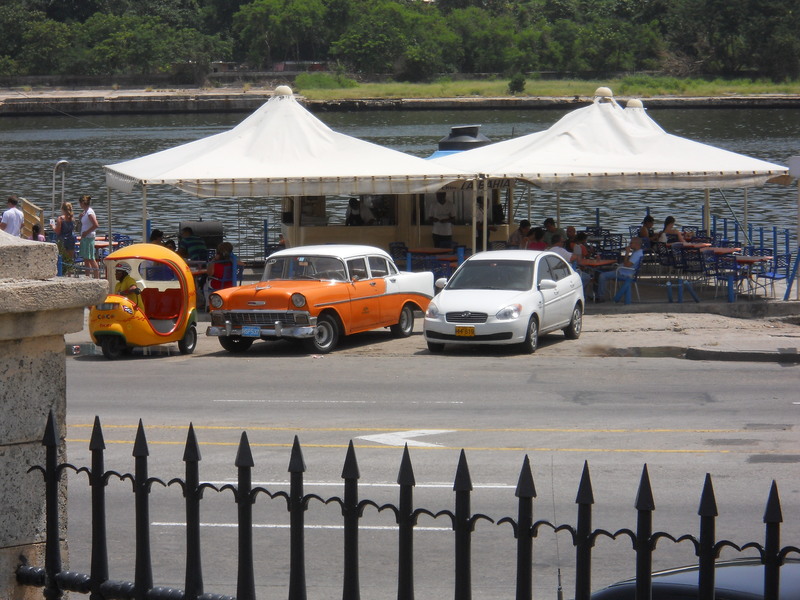 Taxis – seems that if you have a car (or a horse or bicycle) in Cuba, you’re a taxi. Cars will approach you at any time and yell “Taxi”. Why not? The people are overwhelmingly friendly and very open to foreigners. Everywhere we were asked where we were from and engaged in conversation. Equally important, we felt completely safe everywhere. Mo matter the time or area, we always felt totally secure. Havana may have a very run down feel and look to it, but it felt like the safest large city I have ever been in. Music. It is no myth, the music is fabulous and everywhere. Wherever one eats – from a large restaurant to someone’s home, expect a traveling musical group to entertain you royally. Beaches. 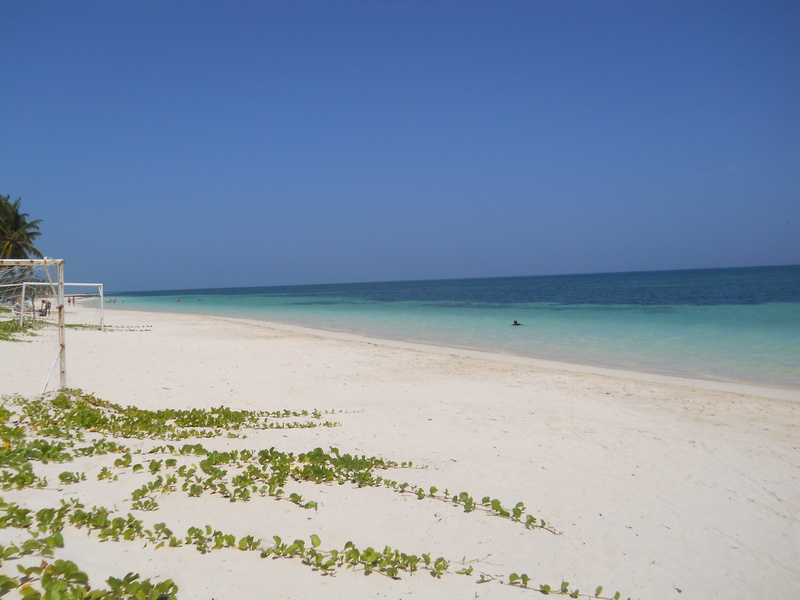 Cuba has no end of spectacular beaches. 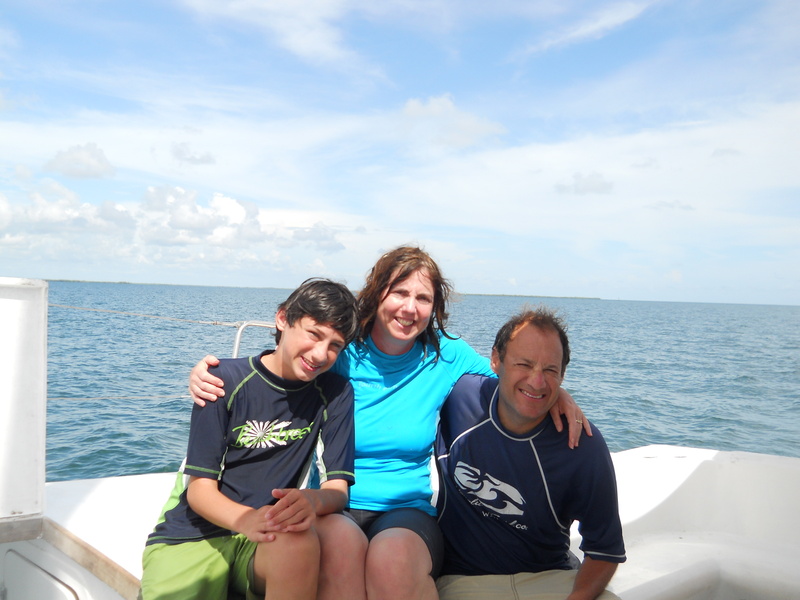 One we visited isCayo Levisa inthe Northwest. Simply paradise. Cars – see above. It is simply incredible to see all the USA made 1950’s cars everywhere, in the most amazing colors. Fantastic!